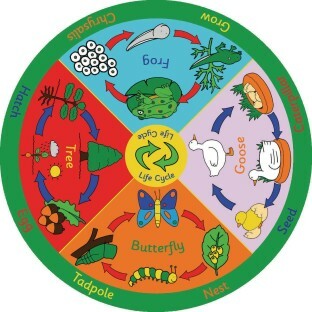 Colorful, clear graphics showing four examples of typical life cycles including birds, frogs, trees and butterflies. Each sector is an excellent starting point for group discussion and learning. 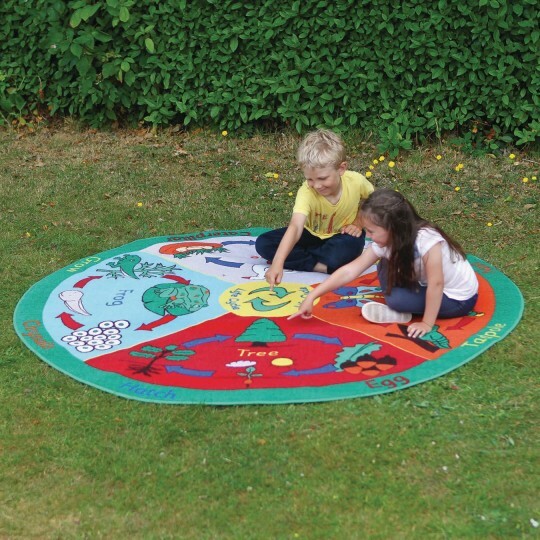 A fun and functional carpet to brighten up any classroom, with anti-slip backing. 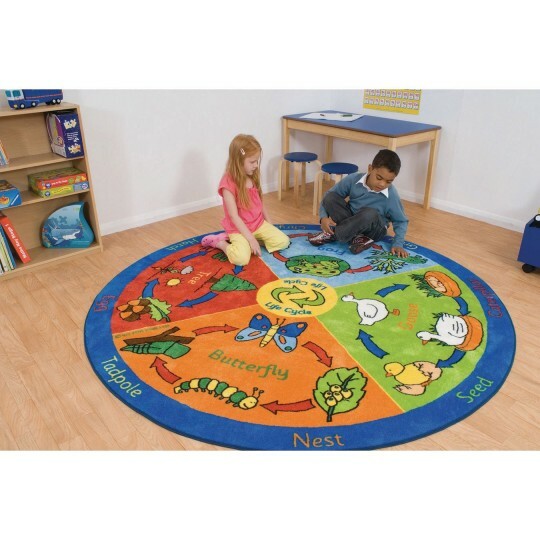 Ideal for group floor reading activities and play. 6'7" diameter.